HUGE PRICE IMPROVEMENT! 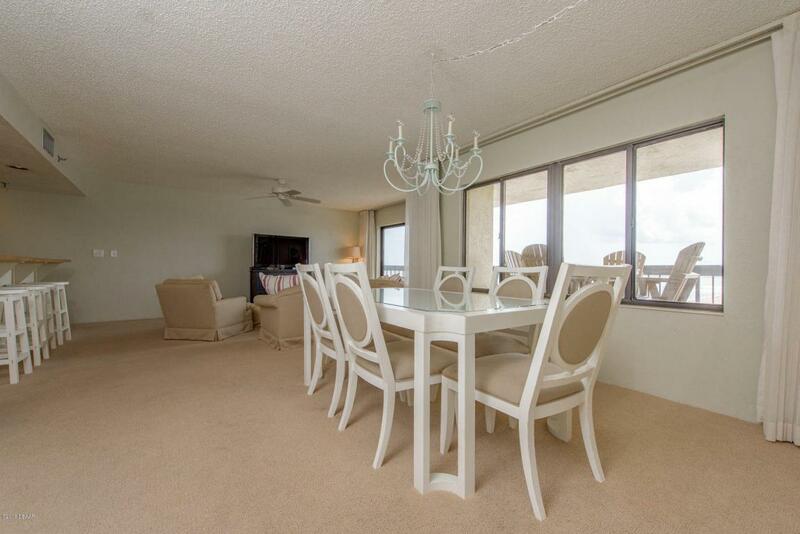 Rare opportunity to own the best views in Ormond Beach. 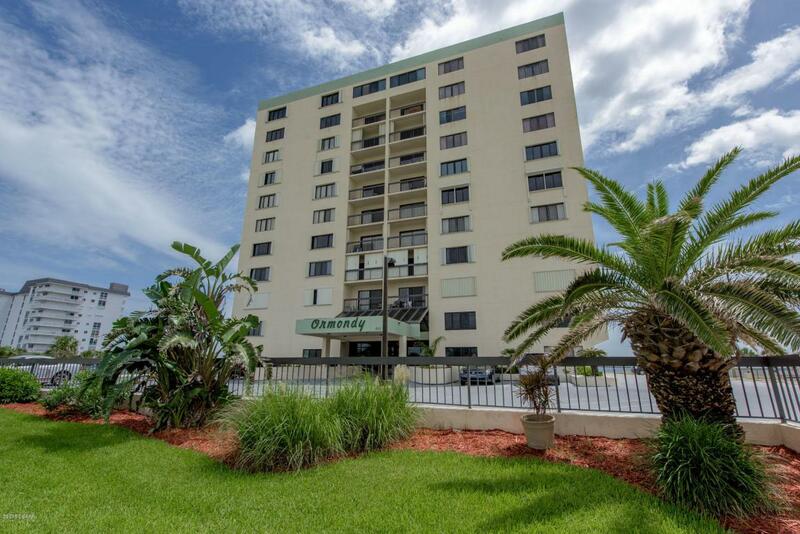 This tenth floor unit in the prestigious Ormondy has the highest balcony in the building and provides sweeping southern exposure with ocean and river views. Immaculately maintained interior by meticulous owners who have updated to give a light and bright feel in every room. The large open kitchen gives way to the spacious living room and full dining room which all have expansive views. Just off the kitchen you will find a full-size laundry and utility room. The guest room provides breathtaking views over Ormond by the Sea out to the Halifax River and Tomoka State Park. The once guest walk-in closet is now an incredibly fun and useful bunkroom and library. READ MORE...Master suite has a large walk-in closet and oversized bathroom with double vanity. 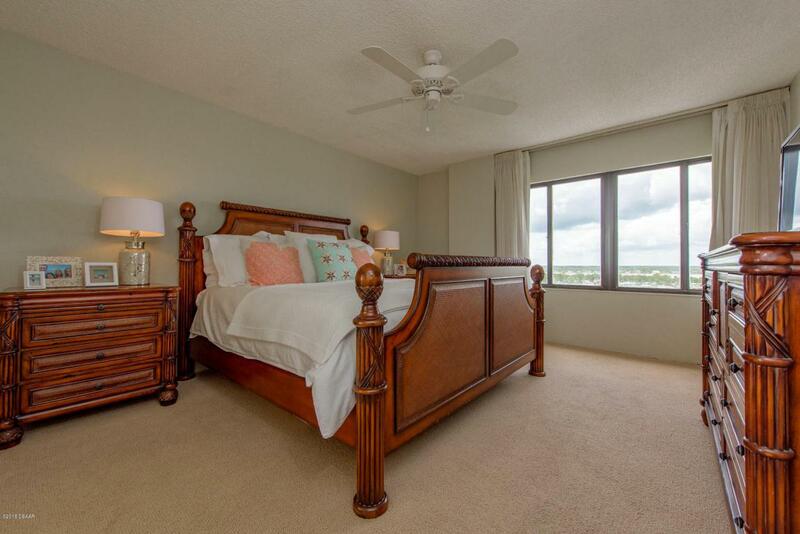 The master bedroom provides views of both the ocean and the river and also has a sliding glass door to the balcony. This unit has a new AC from 2017, subway tile kitchen backsplash, newer dishwasher and refrigerator, and newer tile on the balcony. The Ormondy has secure underground parking, pool area with summer kitchen, private beach access, on-site management, and an 11th floor penthouse clubroom for owners and their guests. 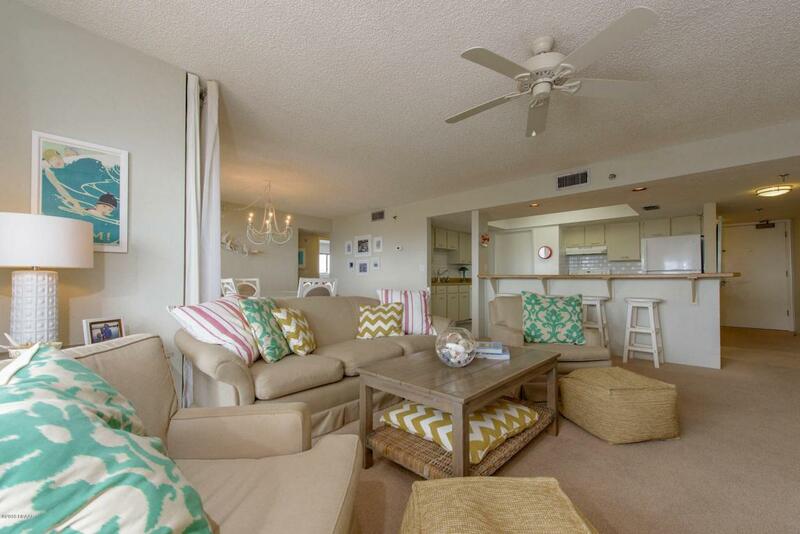 The clubroom has a full kitchen, wifi, library, TVs, and a wrap-around balcony overlooking the ocean.